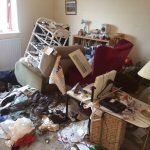 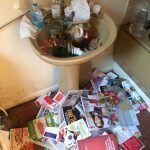 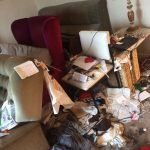 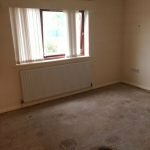 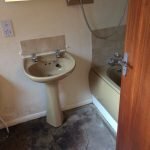 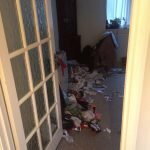 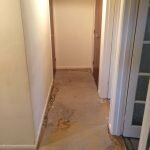 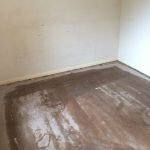 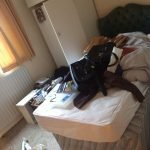 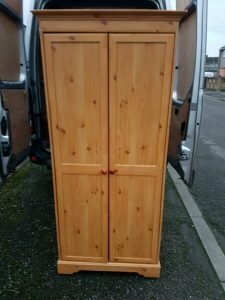 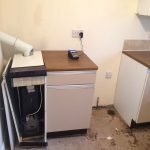 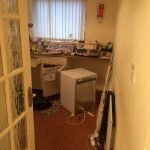 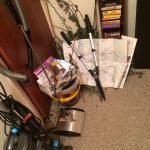 House Clearance Service In Maryhill Pollok Pollokshaws Pollokshields. 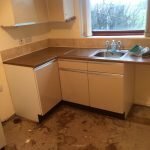 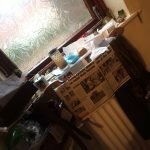 Hi there just looking to get a quote for house clearance on a two bedroom property is just a basic clearance and due to unforeseen circumstances my grandma has to go into care the property is based in Glasgow if you can please give me a call thank you. 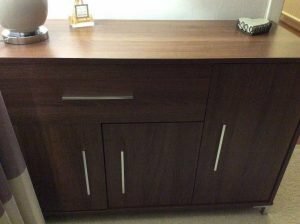 A large walnut sideboard, having a single cupboard beside one drawer and a double cupboard. 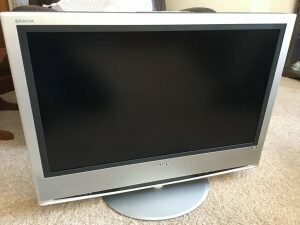 A silver surround 32 inch flat screen Sony television. 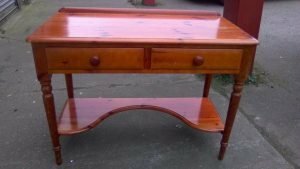 A large solid pine console table, having two drawers. 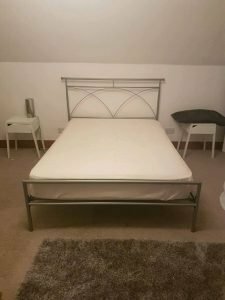 A silver double bed frame and mattress, together with a pair of white bedside tables. 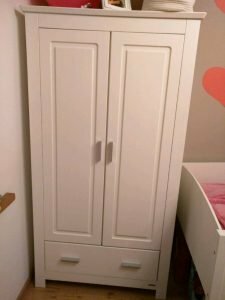 A white solid wood double children’s wardrobe, together with the matching single bed. 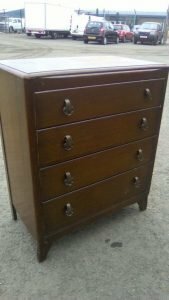 A vintage solid wood chest of four drawers, each drawer having two brass handles. 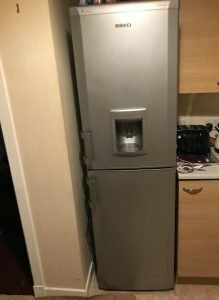 A silver Beko tall standing fridge freezer, with built in water and ice dispenser. 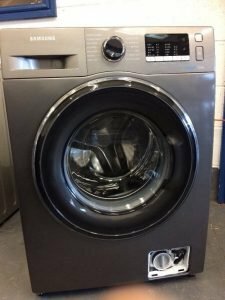 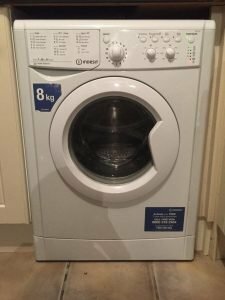 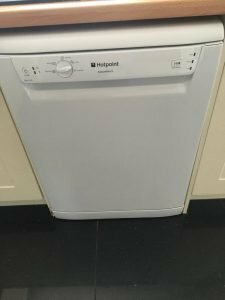 A silver Samsung Eco Bubble 7kg 1400 spin under counter washing machine. 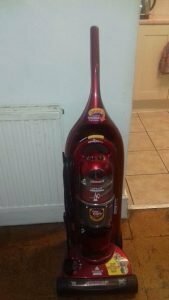 A metallic red Hoover upright vacuum cleaner. 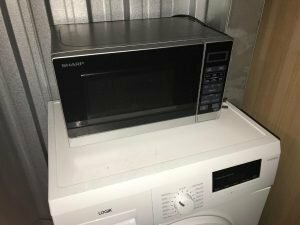 A Sharp stainless steel 600w microwave oven. 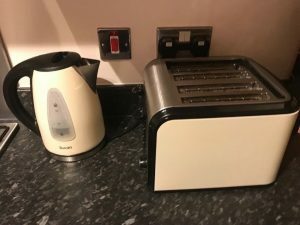 A cream and stainless steel Swan four slice toaster, together with the matching kettle. 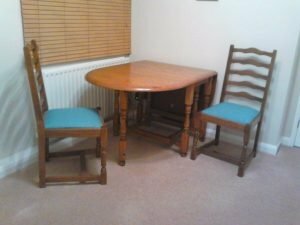 A vintage solid wood extendable drop leaf table, together with a matching pair of ladder back dining chairs, upholstered with blue fabric. 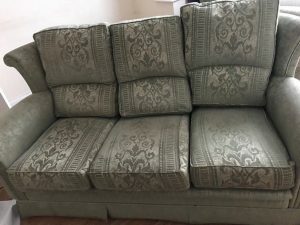 A three seater high back vintage sofa, upholstered with damask patterned fabric.